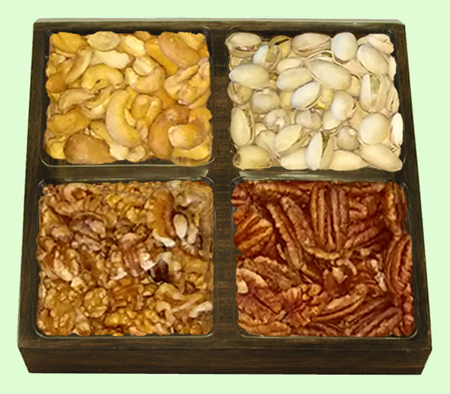 This flat wood tray comes with a plastic insert which is divided into four sections. It is made of balsa wood, one of the greenest wood on earth. It is finished in our newly created dark burnt technique. The dimensions are 8" square, and 1-1/4" tall. This item comes in two larger sizes. Please click item F2799 or item F2792 to view these. This item is available in lightly burnt finish. Please click F1198 to view it. This item is also available in natural, which can be finished in all garden colors. Please click F3198 to view it.